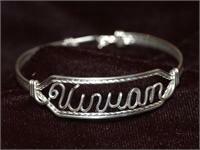 Classic Square Wire Bracelets, custom handmade Bracelets for any size Baby to Adult . 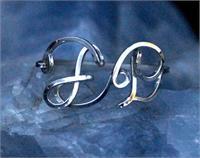 Lifetime quality 12K Gold Fill wire or Sterling Silver wire, or a mix of Silver and Gold. Also makes a perfect Baby gift or Children's gift. 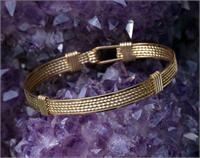 Classic "Mesh" Bracelet in 12k Gold Fill wire. Comes in sizes from children to large adults. A wonderfully balanced design that looks great on the wrist. 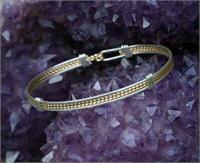 Classic Double Bracelet with a mix of Sterling and 12k Gold Fill wire. Comes in sizes from children to large adults. 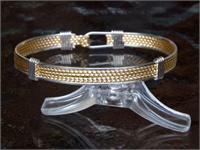 Classic "Mesh" Bracelet with a mix of Sterling and 12k Gold Fill wire. Comes in sizes from children to large adults. A wonderfully balanced design that looks great on the wrist. 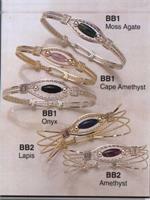 Wrap Bracelet in 12K Gold Fill. 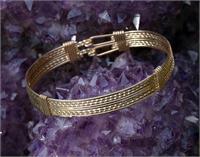 Classic Double Bracelet in 12k Gold Fill wire. Comes in sizes from children to large adults.